Do you want to create mobile application for your blog ? But don’t know from where to start? No problem, without any programming skill you can still create professional looking mobile applications. Both Android and Symbian mobile applications can be easily created from blog’s RSS feeds within 5 minutes. Today I’m going to show you how to create Android Application from your blog’s RSS feed . I’ll write series tutorials about creating more advanced and more customizable Android and Symbian application later. This is the first installment of the tutorial series. This is the simplest method to create Android Application from your blog’s RSS feed. Using this Android Application users can easily read posts on their Android powered mobiles. What do you need to create Android application from your blog’s RSS feed ? First visit Free Blog Apps website. 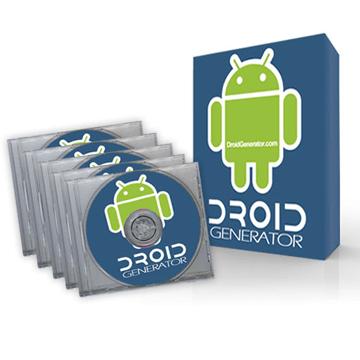 Using this website you can create Android app online for free. There you will be asked to enter your blog’s RSS feed URL. If you are using WordPress then your RSS feed URL will be like this www.yourdomain.com/feed. In next page you can customize your app. 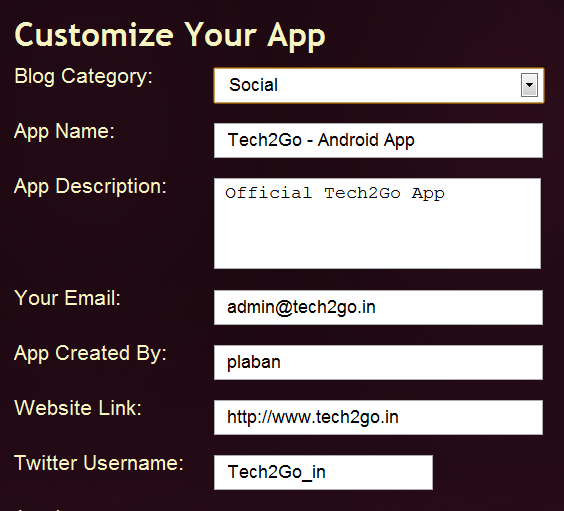 Here you can add details about you application category,small description about the application, your website address,Twitter user name etc. Looks of the application can also be customized. 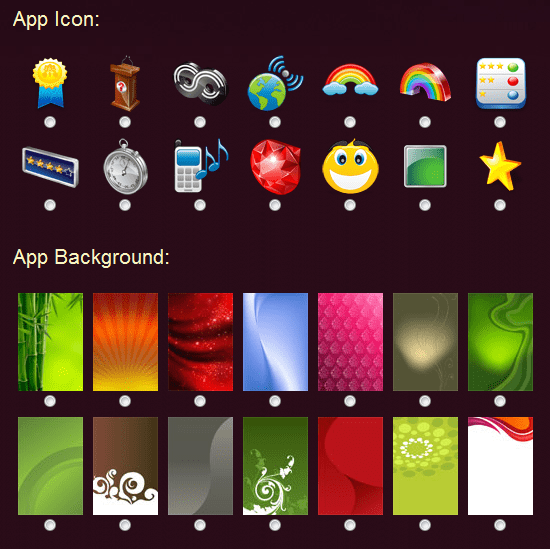 Customization is very basic you can select application icon and application background image. Unfortunately you can not upload your own icon or custom background image. There are some default icons and backgrounds available, you have to select one from them. After entering all details hit ‘Finish’ to create Android Application. Now you will be able to download the .apk file of the application. You can distribute that .apk file to share the app. The Android app can also be downloaded using QR code. If you own an Android mobile then you can test the app yourself before distributing the app. Now you can either submit the app to Android Market (after paying $25 developer fee) or distribute using .apk file/QR code. Hope this tutorial was easy enough to follow. If you want to create more customized and advanced mobile application then wait for the next tutorials. Do need more help? Feel free to ask me. You are welcome 🙂 . Keep visiting Tech2Go for more posts like this. That would be the simplest way I guess to create Android app. I’m going to try it right now. Thanks for sharing. Yes, this is the simplest way. There are some other ways to create Android app. I’ll share those soon. Waiting for more advanced ways…. I’ll post that tutorial soon. Yes, it’s easy to use.But they insert their ADS right on the home screen of our app.